Area 7, the northern most core area, begins on the north side of the Cayucos pier, moves northward along the coastline passed Point Estero to Santa Rosa Creek, arcs outward to the two hundred meter bathymeteric line and southward back to the north side of the pier. 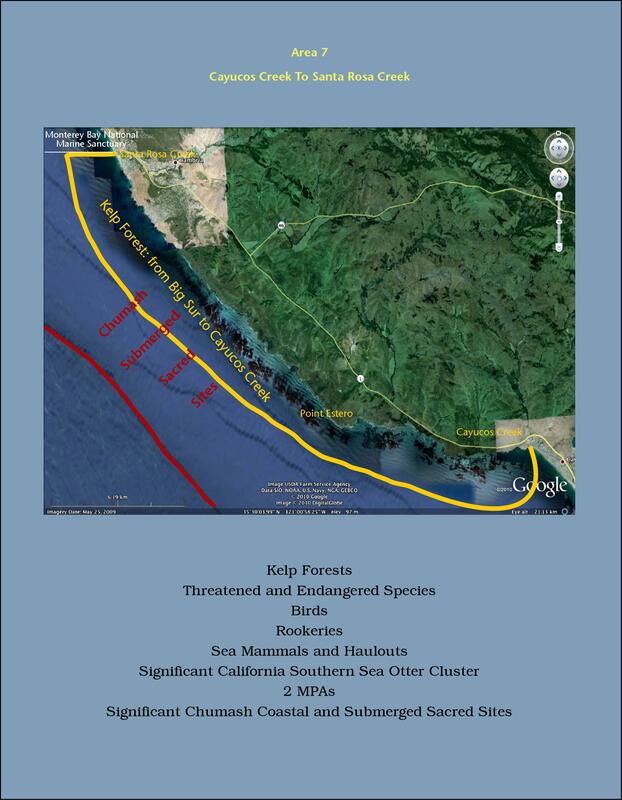 Santa Rosa Creek is the southern Boundary of the Monterey Bay National Marine Sanctuary. This section of the coastline, with low lying benches that risie to small coastal hills, contains jagged rocky coastline and offshore reefs. 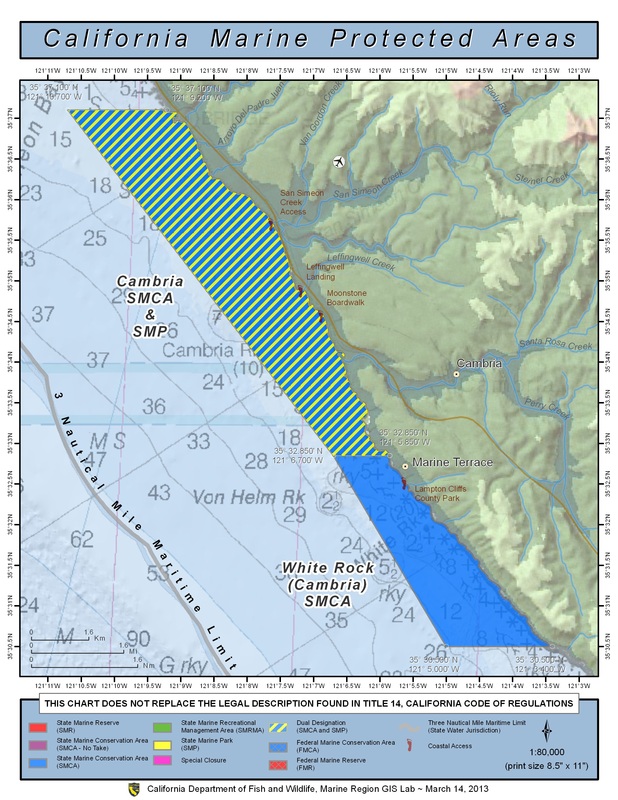 Facing southward and protected by the hills, a portion of the area north of Cayucos is protected from prevailing northwest currents, winds and harsh storms. 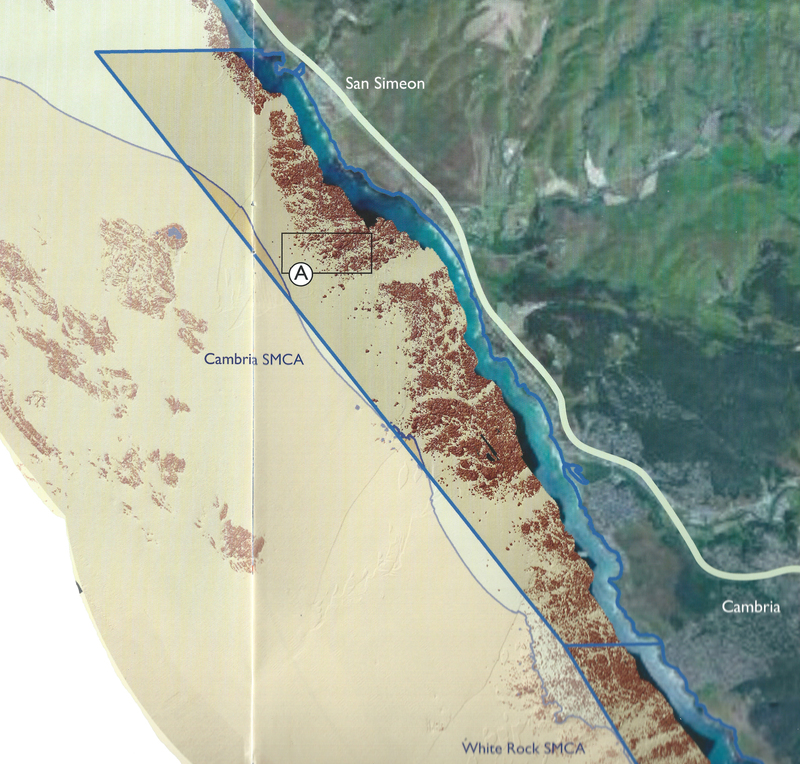 The Cayucos Creek mouth is on the area’s southern boundary, and Villa Creek, just south of Point Estero, drains into the heart of the area. Numerous small coves are found along the coastline. Comprised of rocky intertidal zones associated with dense kelp forests and other algae populations, the area supports a wide diversity of life. One of the largest southern sea otter population clusters resides within this zone. Offshore rocks provide rookeries and roosting sites for birds and haulouts for pinnipeds. 500 to 600 harbor seals are found here. Whales other than gray whales occasionally visit within this zone. Gray whales stack at Point Estero during migrations. The Chumash village site, Cayucos, is found adjacent to the area. Its age seems to be nearly 8000 years of continuous habitation. Further north in Cambria, but south of Santa Rosa Creek, two Chumash village sites have been dated 10,000 years old. Other large sites are also found in the area as well as unknown submerged sites. 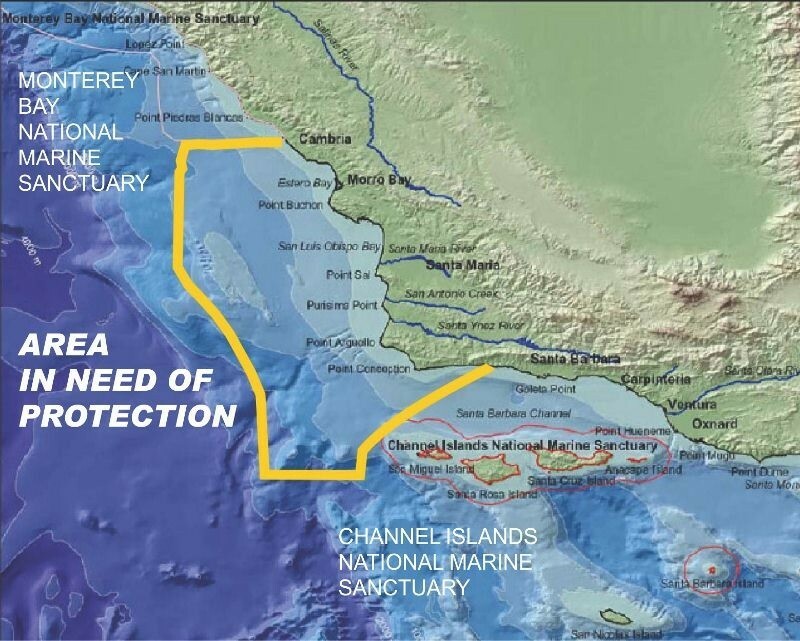 The Chumash coastal and submerged sacred site area continues northward into the MBNMS to Ragged Point along the coast and the northern most site remains unknown in the submerged lands.